Donald Kemp claims he was born and raised in Southern Michigan and lived in North Carolina for over thirty-five years. He graduated from a combination of high school and aircraft mechanics school. Two years later, he became the supervisor for the Michigan National Guard Air Section Maintenance Shop. He then married his beautiful wife, Gerry, and has three children, eight grandchildren, and nine great-grandchildren. Serious writing began with thirteen weekly articles in the Rochester City newspaper about his heart bypass surgery in the very early days of the procedure. Donald later published the book, I Live With A Mended Heart, and distributed it to doctors and hospitals all over the United States. Donald wrote and directed three stage plays for a senior acting group in Southern California.” He has also written numerous short stories about his relative’s blips and/or accomplishments for the family archives. Several children’s books will hopefully soon be on the market. Nowadays, airplanes, helicopters, furniture building, and consulting for interior decorators have given way to writing novels and short stories based on his varied life adventures. 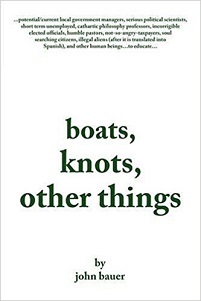 -boats, knots, other things, local government management improvement recommendations/ abbreviated memoirs, AuthorHouse Publisher, ISBN 978-1-4343-2093-3; 366 pgs., 2007. –Deflategate: Reaction From A Jets Fan, Carolina Opinion , May 10, 2015. -Tropical Storm Stalin Heads Towards Coast, Stone Canoe Journal, Issue No. 9, 2015. -A Son’s Love, Escape Your World Anthology, Scribes Valley Publishing Company, ISBN 978-0-9851-8333-2, 2015. –Aphrodite’s Exile, Between the Sheets-Lesbian Love, House of Erotica, 2015. –Goldilocks and the Three Bears, Redux, Once Upon a Time Anthology, House of Erotica, 2015. 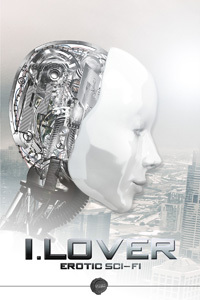 –The Inventor Wore High Heels, I.Lover Sci-Fi Anthology, House of Erotica, 2015.